Alan Nelson is the Founder and President of Sterling Investment Management, Inc., a Fee-Only financial services firm offering comprehensive, personalized financial advice. Our office is located in Beaverton, Oregon. Sterling Investment Management, Inc. provides financial planning and investment counseling to individuals and families. Alan Nelson is a Certified Financial Planner® and a Registered Investment Advisor who is committed to providing high quality, professional advice and superior customer service to all of his clients. To earn the prestigious CFP® designation, Mr. Nelson was required to complete an extensive course of study and be tested on his knowledge of tax planning, employee benefits, retirement planning, estate planning, investment management, and insurance. As an independent financial advisory firm, Sterling Investment Management, Inc., is there to assist you, as a client, in your achievement of long-term financial success. As a Fee-Only financial planning firm, Sterling Investment Management, Inc. is compensated solely by the client. There are no third-party influences affecting the guidance provided. Sterling Investment Management, Inc. is one of a small number of advisory firms in the country affiliated with Dimensional Fund Advisors (DFA). DFA offers a suite of low-cost, institutional-class index funds. Sterling Investment Management, Inc. uses DFA funds to construct globally-diversified portfolios. 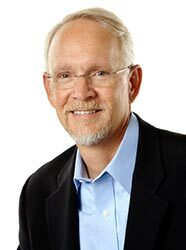 Alan Nelson is a member of the National Association of Personal Financial Advisors (NAPFA), the Financial Planning Association (FPA), and The Portland Financial Advisors Network (PDXFAN). Al and the other members of these organizations believe that professional, unbiased financial advice is something all people need to build their financial futures. For further information on these organizations, please refer to the “Affiliations” and “Web Resources” sections of this web site.